The horrors faced by a person thrown in jail for crimes they have not committed, cannot be understood unless one lives it. Our jails are overflowing with thousands of innocent undertrials languishing for years. Once thrown inside jail, society draws no distinction between an accused and a convict. The accused faces lengthy jail times while the trial proceedings are kept pending for years. It is this period which locks out any good reputation an accused may have enjoyed previously till the Court finally acquits them. All too often, in this country, they are unable to obtain proper legal help due to financial constraints. Unable to obtain bail, the faceless accused keeps suffering in ignominy. The tragedy gets compounded when this accused is innocent and circumstances confine him/her to the prison. Recognizing the malaise, Law Commission of India in its 277th Report has given its opinion on the issue of wrongful prosecution. This Report was primarily based on a reference made by the High Court of Delhi in the case of Babloo Chauhan v State Government of NCT Delhi. The Report notes, rather unsurprisingly, that our country has one of the highest imprisoned undertrial populations in the world. 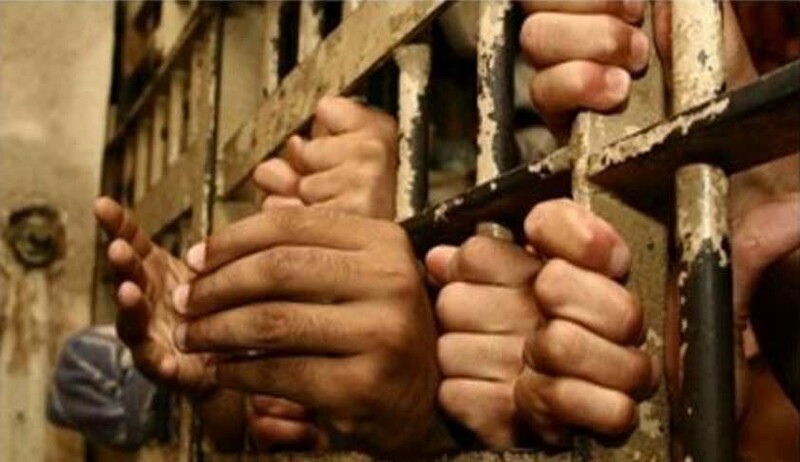 Detailed statistics and numbers of the undertrial population lodged in jails in India has been presented by the Prison Statistics Report of the National Crime Bureau which the Law Commission Report has cited, and the Law Commission Report attempts to correlate it with the undetermined numbers of wrongfully prosecuted undertrials. The Report notes that internationally, three standards of miscarriage of justice have been recognized - wrongful incarceration, wrongful conviction or wrongful prosecution. The Law Commission Report noted that in order to establish miscarriage of justice, the best standard to be applied by Courts in India is that of Wrongful Prosecution and not wrongful incarceration or wrongful conviction. The Commission notes that a finding of “wrongful conviction” would be possible only after a new fact exonerating the accused comes to light. The standard of ‘wrongful conviction’ also disadvantages the accused looking for interim compensation as a claim only comes alive at a belated stage. The Commission also discounted ‘wrongful incarceration’ as the standard to be applied in India, for the reason that the essential element of ‘incarceration’ may not be present in all cases and that in adopting the standard makes it difficult to devise a uniform formula to indemnify the accused. Hence ‘wrongful prosecution’ becomes the acceptable standard for showing miscarriage of justice. But the question still remains, how can we determine the quantum of compensation payable to the victims? Going further, the next question is whether the legal remedies available in India are robust enough to address the injustice faced by the victims? International Law unambiguously states that any person who has suffered due to wrongful prosecution, shall be compensated for the miscarriage of justice caused to them. The international obligations forming the wellspring for this is under the Article 14(6) of the ICCPR (International Covenant on Civil and Political Rights) and General Comment No. 32 of the UN Human Rights Committee. States such as United States, New Zealand etc. have already introduced the statutory right to compensation by way of suitable legislation to remedy such miscarriage of justice. One of the leading examples is the enactment of the Criminal Justice Act, 1988 in the United Kingdom. The Act guarantees compensation in cases of miscarriage of justice, where a new fact subsequently comes to light, which proves beyond reasonable doubt that the accused did not commit the offence. In fact, after 2011, the UK Courts have held that even those who cannot prove their innocence beyond reasonable doubt were entitled to compensation. A Criminal Cases Review Committee in 1997 was also set up under Section 8 of the Criminal Appeal Act 1995 to find out whether the accused has suffereda miscarriage of justice. Not only this, but the UK Police Act, 1996, holds the Chief of Police liable for the unlawful conduct of the constables under his/her command. With the introduction of these statutes, the United Kingdom has addressed some of the implementational challenges to address miscarriage of justice caused by wrongful conviction. In India, there are three main remedies available to a person who has been wrongfully imprisoned and seeks relief in the form of compensation are - public law remedy, criminal law remedy and civil law remedy. Public Law remedies are available in the form of petitions under Article 32 before the Supreme Court or under Article 226 before the respective High Court under the Constitution of India. A long line of decisions of the Supreme Court have laid down that under public law, pecuniary compensation is available as a remedy for any act of misconduct on the part of the State including police or investigating agencies where the fundamental rights of persons (including non-citizens) under Article 21 or 22 have been violated. The main problem in availing a remedy under public law is the absence of a framework to calculate the amount of compensation for violations such as illegal detention, wrongful incarceration etc. The public law remedy, therefore is founded on a case-to-case basis approach, which is often lacking in uniformity, arbitrary and indeterminate when applied to other case scenarios. A claim for compensation for wrongful acts done by agencies of the State are often pursued before Civil Courts which forms part of the Civil law remedy available to the accused. Even though Private Law or Civil Law remedy against the State is considered ideal, it is often a protracted process and getting relief from Courts becomes difficult as that could take considerable time and finances of the accused. The most common defence taken by the State in such claims is that of “sovereign function” which can torpedo most private law claims. And even though judicial pronouncements have whittled down the scope of this defence, indeed, the faster and more direct way to get any restitution is to approach the Constitutional Courts directly by way of writ remedies. Criminal Law, on the other hand, provides another avenue for redressal available to a victim of wrongful prosecution. Chapter XI of the Indian Penal Code, 1860 (IPC) makes punishable offences involving fabrication of records, of perjury, illegal confinement and commitment to trial of innocent persons by a police officer. In particular, Section 211 IPC is of value as it penalises institution of false criminal proceedings or falsely charging a person of a crime. The Section is made applicable to all persons - even if they are public servants. The critical element in the provision is that such a proceeding must have been instituted “without just or lawful ground”. Proving this element is no easy task, as more often than not prosecutorial failings arise from systemic and institutional problems plaguing the Police. Interestingly, the Law Commission Report referred to a Jamia Teachers’ Solidarity Association Report illustrating the Modus Operandi adopted by the Police in cases of wrongful prosecution. . Common practices adopted by the Police include incorrect recording of time and date of detention of accused, unverifiable intelligence being acted upon by the Police, lack of independent witnesses being rounded up, using private unmarked vehicles, fabricated seizure memos etc. The Law Commission noted that the obligation to compensate not only lies in international law, but should also be looked at as a “redeeming feature”. Compensation given without any standards or unfixed quantums is not a solution. For all the years lost, the mental, emotional and physical harassment, the expenses incurred and so much more, there needs to be a framework of compensatory assistance by the State. What the State needs to look at is comprehensive rehabilitation and reintegration of such persons back into society. The law should be unambiguous and provide a procedural framework to establish a statutory obligation on the State to pay compensation. If we look into best practices in other countries, we could take inspiration from Canada, where clear Guidelines are provided for determining the quantum of compensation. Under these Guidelines Not only pecuniary but non-pecuniary losses such as loss of reputation, loss of liberty, physical and mental harshness are also addressed. Pendency of criminal cases in appellate forums i.e. High Courts and the Supreme Court as well remains disproportionately high which is a bitter pill for innocent undertrials rotting in jails. Addition of definitions of wrongful prosecution and malicious prosecution. Functioning of Special Courts and appeals. Factors to be taken into account while granting compensation. Power absolute corrupts absolutely. Similarly, unbridled discretion, leads to abuse of process of law. Police accountability therefore assumes a huge significance to check the abuse. Stricter punishments for committing the offence should be imposed on the police, indemnification of victims must be expedited and departmental vigilance mechanisms must be strengthened. Criminal prosecution remains in dire straits as well, with public prosecutors being unable to record better levels of conviction due to a variety of reasons. Be it bad investigation, overworked lawyers or pressures to bring forth higher rate of prosecutions, it is unacceptable to have innocent persons be the casualty. An accountability framework for public prosecutors therefore is also desirable - to record statistics of wrongful prosecutions. Progress cannot only be made by leaps and bounds. Sometimes, we need a step by step approach to achieve the end goal. Change must be eased into, rather than forced as the end goal of “justice” must not only be done, but be seen to be done. Malavika Rajkumar is a Research Fellow at Nyaaya, Rohit Ghosh is an advocate practicing in the Supreme Court.